2015 marked ProPublica’s most ambitious year to date in visual and interactive storytelling. From in-depth coverage of the water crisis in the West to chasing down the unsolved murder of Vietnamese journalists on U.S. soil, tackling the dismantling of workers’ comp, and crunching the numbers on complications from elective surgeries, here are some highlights from the year that was. We kicked off the year with an examination of the use of dangerous military-style flashbang grenades by law enforcement agencies. 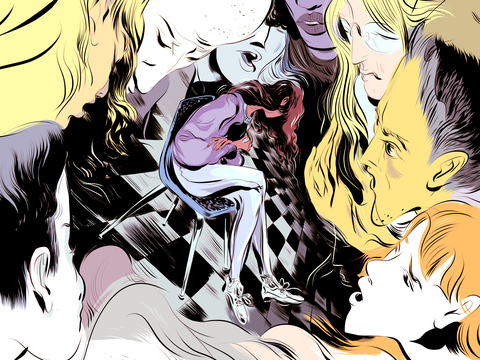 This story features striking opening artwork by illustrator Justin Volz as well as photography from Bryan Meltz and Andrea Morales. This graphic, by Sisi Wei and Charles Ornstein, tracks more than 1,400 (and counting) large-scale data breaches reported by the U.S. Department of Health and Human Services. This graphic was shortlisted for the Information is Beautiful awards. 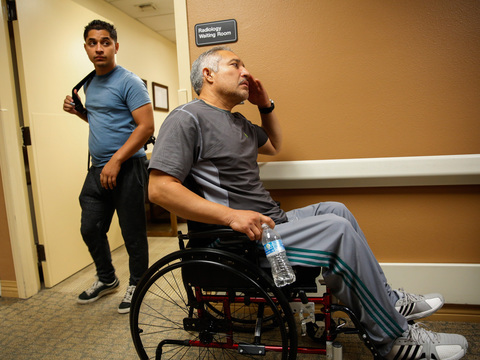 Photographer Patrick Fallon brought us this intimate, unsparing view into the daily life of Joel Ramirez, a worker who was paralyzed from the waist down when a 900-pound crate fell on him at a warehouse. This photo essay accompanied “The Demolition of Workers’ Comp,” the first entry in Michael Grabell’s ongoing investigation of shrinking workers’ compensation protections across the U.S. That story also features vivid original artwork from illustrator Matt Rota. 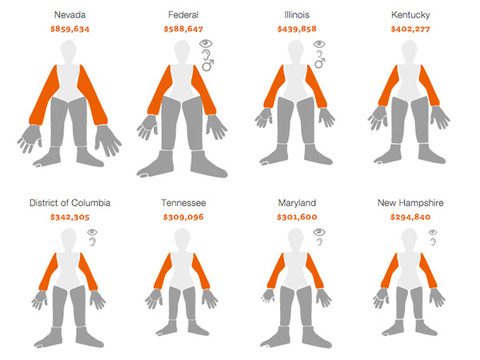 This interactive graphic by Lena Groeger and Michael Grabell shows in dramatic fashion the disparity between states in reimbursement rates for people suffering permanent injuries at work. 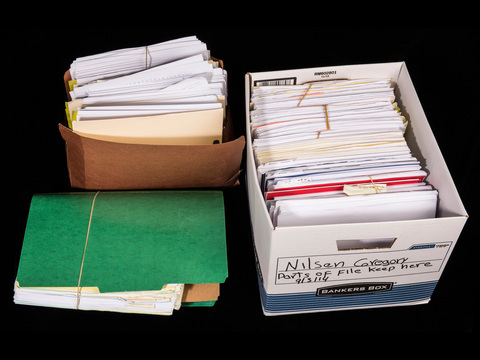 Award-winning photographer Glenna Gordon helped us illustrate the consequences of vanishing workers’ comp protections by focusing on objects from injured workers’ everyday lives. We collaborated across the newsroom to make this combination story and interactive database. Reporters and interactive developers worked simultaneously rather than separately on the project. Lena Groeger built a hybrid of a reported story and an interactive database of health and safety data on cruise ships, anchored by a cutaway ship illustration by Josh Cochran. 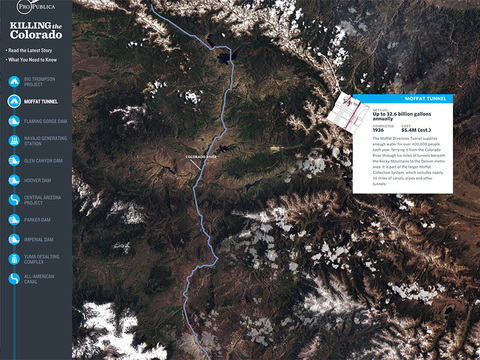 A scrollable map showing how we’ve turned the Colorado River into a plumbing system for 40 million people in the West. We wrote our own software to create a seamless mosaic of data from the Landsat satellite and paired it with illustrations from John Grimwade to explain 11 pieces of infrastructure built to collect and divert the river’s water. 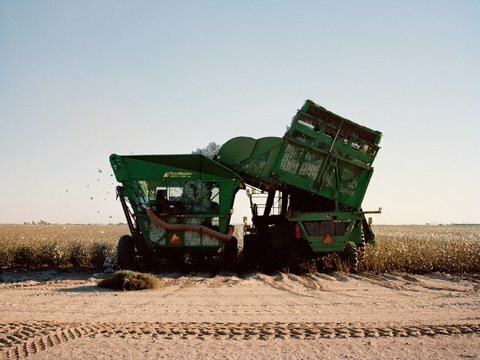 Jake Stangel’s original photography helped us kick off our in-depth five-part series on the water crisis in the West. 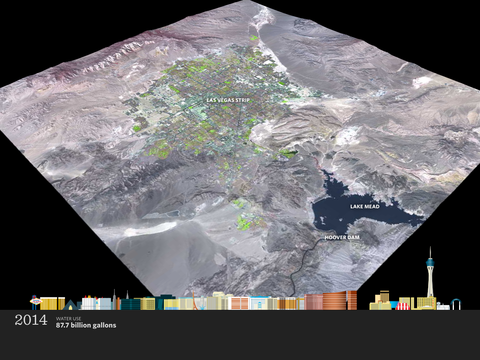 A 3-D map showing the unchecked growth of Las Vegas, even while Lake Mead shrinks. One notable feature is the accurate depiction in miniature of the Las Vegas Strip changing over the years. This interactive accompanied the second installment in our Killing the Colorado series, which also featured the work of photographer Christaan Felber. 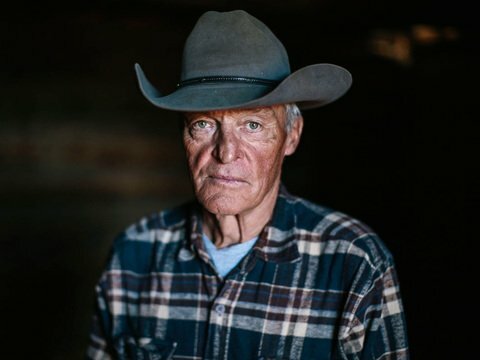 The third entry in the Killing the Colorado series features the distinctive photographic work of Bryan Schutmaat. This project analyzed the surgical complication rates for more than 16,000 surgeons performing eight elective procedures. We paid special attention to the way in which we express statistical uncertainty, using gradated confidence intervals rather than the conventional method, which typically involves deleting meaningful results. This interactive accompanied the story “Making the Cut,” and featured original mobile-friendly illustrations from Miguel Montaner. 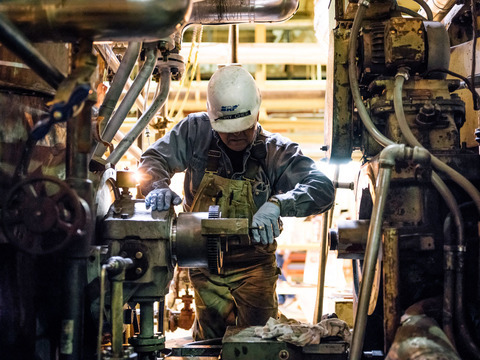 This story and accompanying photo essays feature the work of photographer Michael Friberg. 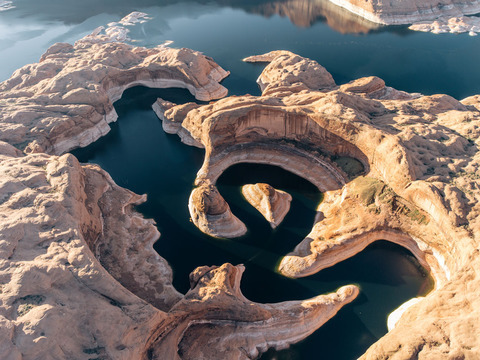 Michael’s photography depicts the dwindling Lake Powell as well as inner workings of the Navajo Generating Station — the West’s largest power-generating facility — in stark terms. This original stop-motion explainer video by Jöns Mellgren and Anna Mantzaris illustrates the basic concepts behind groundwater use and how it relates to the water crisis in the West. 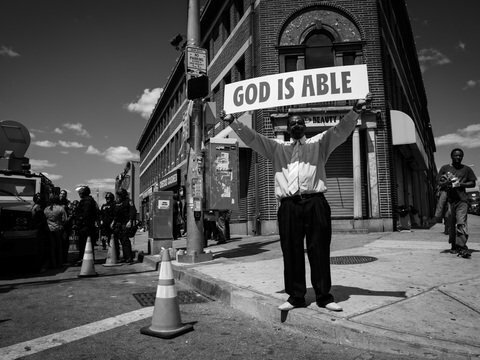 Original photography and audio from Edwin Torres create an up close and immersive view of the Baltimore protests after Freddie Gray was killed. 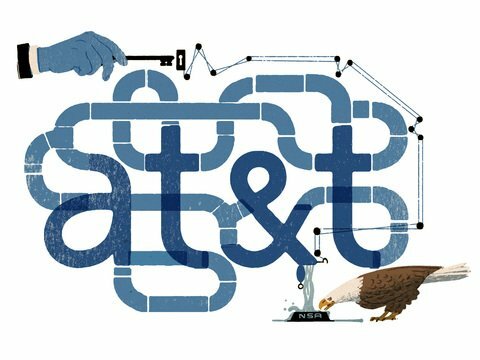 Pep Montserrat’s witty illustrations open both entries in our examination of AT&T’s unprecedented collaboration with the NSA. Pep returned to our site later in the year to contribute opening artwork for both installments of Heather Vogell’s investigation of AdvoServ. 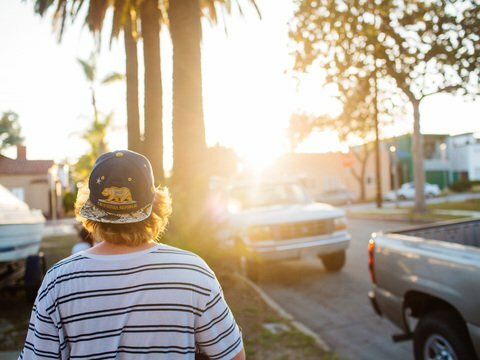 Photographer Kendrick Brinson joined reporter Joaquin Sapien in the field to bring us this look at a California neighborhood grappling with a troubled group home in its midst. Sisi Wei and Annie Waldman put together this interactive database using newly available federal government data, showing how well each of 6,000 colleges and universities in the U.S. are helping their poorest students afford school without taking on too much debt. Paul Kiel and Annie Waldman’s first-of-its-kind analysis showed that wage garnishments following debt-collection lawsuits are far more common in black communities than white ones. This set of interactive maps by Al Shaw draws this disparity in sharp relief in three geographic areas — St. Louis County, Chicago and Newark, New Jersey. The accompanying story featured original photography from Edwin Torres. Justin Volz’s animated — and mobile-friendly — opening illustration helped set the opening for this entry in our ongoing look into the dismantling of workers’ comp protections. 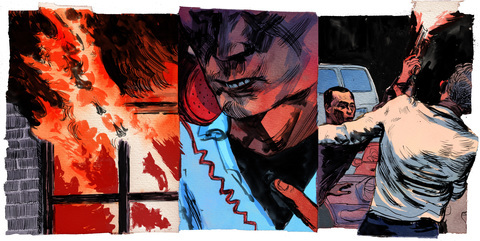 As he did on “Firestone and the Warlord,” Matt Rota created original illustrations for A.C. Thompson’s gripping three-part report of the murder of Vietnamese journalists on U.S. soil. 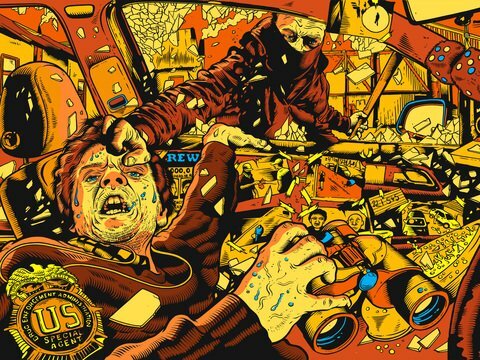 They breathed vivid life into scenes from a classic cold case. An early sketch by illustrator Matt Rota. Members of Congress are supposed to explain their absences when they miss votes. Derek Willis, Cecilia Reyes and Tobin Asher assembled these explanations for the past eight years in an interactive database that lets readers look up their own representative or see a list of the chronic absentees. 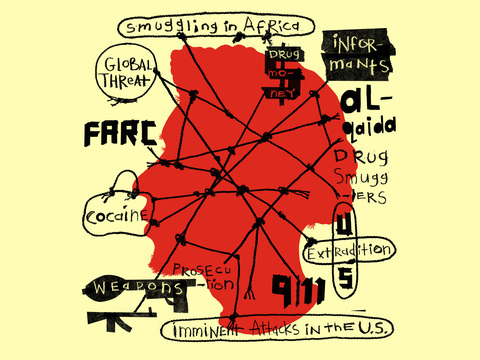 Photographer Jane Hahn joined ProPublica reporter Ginger Thompson in Mali to photograph subjects caught up in the Drug Enforcement Agency’s hunt for so-called “narco-terrorists.” Original illustrations from Melinda Beck complete the story layout, and an accompanying video explores if drugs really do fund terrorism. 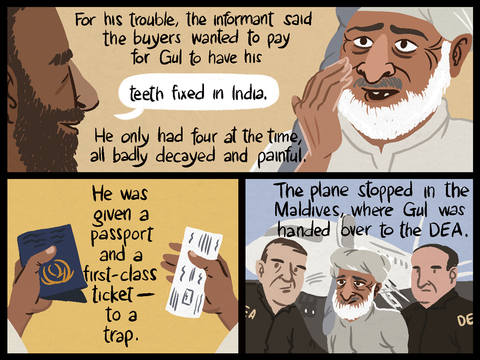 Journalist and illustrator Susie Cagle, working with Ginger Thompson and Lena Groeger, made a comic exploring the similarities and parallels between five narco-terrorism cases, forming the second installment in Thompson’s story on the DEA’s dubious link between drugs and terror. A unique collaboration between ProPublica and The Marshall Project, both newsrooms worked together not just on reporting but design as well. Together we created a single core layout using a shared codebase that was then adapted for use on both sites. The result was a layout fitted to the reporting and each site. We wasted $17 billion in Afghanistan, according to a government watchdog. That’s a huge number — a hard one for most people to grasp. So we created a simulation that lets readers compare the money wasted on Afghan projects with programs (and savings) we could have chosen to have instead. 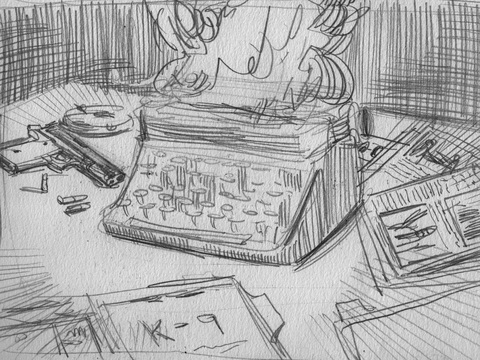 One of Tim McDonagh’s draft sketches for this story’s opening illustration. 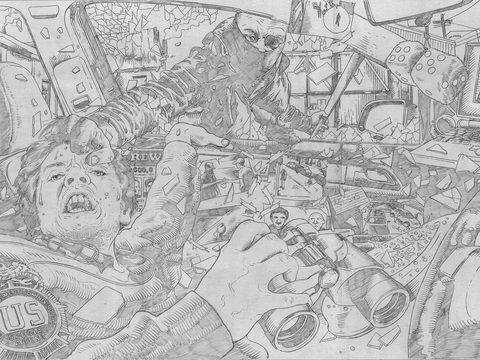 Tim McDonagh’s ferocious illustrations gave David Epstein’s tale of the DEA’s longest-running cartel case a fitting visual punch. Original portraits from photographer Joe Pugliese helped round out our presentation. This project, by Mike Tigas, Charles Ornstein and Annie Waldman, lets readers and researchers search thousands of health-care privacy complaints, data breaches and violations. 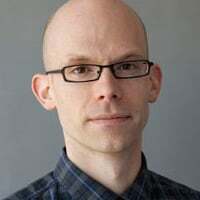 Scott Klein is an assistant managing editor at ProPublica and directs a team of journalist/programmers building large interactive software projects that tell journalistic stories. 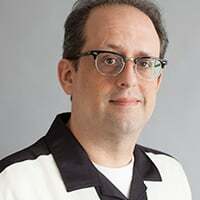 Scott is also co-founder of DocumentCloud, a two-time recipient of the Knight News Challenge.